This is not how Heather had imagined new motherhood  alone, heartsick, an unexpectedly solo caretaker of a baby who smelled "like sliced apples and salted pretzels" but might be perilously ill. Brian reappears as Gracie's condition grows dire; together Heather and Brian have to decide what they are willing to risk to ensure their girl sees adulthood. My first child, my girl, was born just before seven on a spring night, perfect. She was compact and fully formed, a little over five pounds. She smelled like sliced apple and salted pretzels, like the innocent recent arrival from a saline world that she was. But the midwife was worried. "She's small for gestational age," she kept saying. "Any problems or issues during pregnancy?" I wanted to ask her if heartbreak counted. If sharing a bed with a good-hearted dog, rather than the baby's father, might do it. "Also," the midwife said, "she looks a little jaundiced." "That's just the Greek side," my mom cut in, "we're all yellow." The midwife finally handed her over, a waxy, pinched little thing. Gory and unkempt. Not serenely smiling like the dolls of my youth. But a real baby, mine. This is the best book I have read this year (Arlene M). I loved everything about it (Barbara O). I started it on a rainy night, thinking I would fall asleep quickly, and ended up reading the entire book (Diane W)! It's so good, you will want to read it twice (Sherri G). 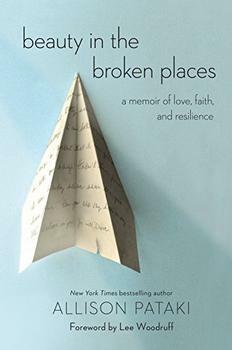 I highly recommend this memoir, it was a definite page-turner and tear jerker (Miller W). It's one I will never forget and without any reservation recommend to all my friends and family (Candace F). Happiness would make an excellent book club selection (Barbara O). (Reviewed by BookBrowse First Impression Reviewers). Harpham has written a heartfelt exploration of familial bonds and the sometimes incredibly bumpy journey one must take to get to contentment. Happiness is an incredibly moving account of survival and love that will inspire readers to hold on tight to what’s truly important. 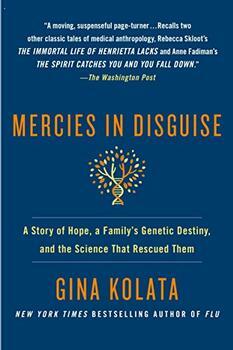 A frank and often affecting memoir from a mother determined to do whatever it takes for her child. Told with abundant charm and insight, this book is a beautifully drawn portrait of one family - its comforts, disappointments and, on the very best days, moments of grace. With intelligence and lyricism and compassion, Harpham gives us her story of the rocky road that sometimes leads right where you want it to. An extraordinary and bewitching book, Happiness has staked a claim among the most beautiful and moving portraits of parenthood and partnership. In Happiness: The Crooked Road to Semi Ever After, the author's newborn has a rare blood disease and requires a bone marrow transplant to survive.